U.S. Department of State-Bureau of International Security-Nonproliferation: Inviting applications for ‘grant’ to focus on mitigating proliferation and security risks from state and non-state actors. Jamnalal Bajaj Foundation: Inviting applications for ‘Jamnalal Bajaj Awards-International Award for Promoting Gandhian Values outside India’ to recognize outstanding contribution, made outside India. Indian National Science Academy (INSA): Inviting applications for ‘INSA-JRD Tata Fellowship’ to extend facilities of the advanced scientific infrastructure and expertise of India to scientists and researchers of developing countries. Department of Foreign Affairs and Trade (DFAT): Inviting applications for ‘Request for Research Proposals for Water, Sanitation and Hygiene (WASH) Research Awards’ to support civil society organisations (CSOs) to implement gender and socially inclusive WASH projects in Asia and the Pacific. Harold W. McGraw, Jr. Center for Business Journalism: Inviting applications for ‘The McGraw Fellowship for Business Journalism’ to provide editorial and financial support to journalists who need the time and resources to produce a significant investigative or enterprise story that provides fresh insight into an important business, financial or economic topic. Southeast Asian Regional Center for Graduate Study and Research in Agriculture (SEARCA): Inviting applications for ‘Seed Fund for Research and Training (SFRT)’ to address this concern and in line with the Center’s thrust of promoting, undertaking and coordinating research programs relevant to inclusive and sustainable agricultural and rural development of the region. CONNECTHER: Inviting applications for ‘The Girls Impact the World Film Festival’ to focus on issues facing women and girls around the world. Google LLC: Inviting applications for ‘GNI Innovation Challenge’ to support projects that drive digital innovation and develop new business models. Clean Energy Ministerial (CEM): Inviting applications for ‘The Energy Management Leadership Awards’ to recognize leading organizations for their energy management achievements and raise the profile of the ISO 50001 energy management system as a proven, broadly applicable solution to global energy and climate challenges. Society for Conservation Biology (SCB): Inviting applications for ‘SCB 2019 Global Distinguished Service Awards’ to recognize scientists and institutions from around the world for extraordinary contributions to conservation biology and the preservation of Earth’s biodiversity. Riverbanks Zoo & Garden: Inviting applications for ‘Satch Krantz Conservation Support Fund’ to provide important assistance to conservation biologists involved in an array of wildlife conservation projects both in the US and abroad. Arrell Food Institute: Inviting applications for ‘Arrell Global Food Innovation Awards’ to recognize global excellence in food innovation and community impact. U.S. Department of Agriculture (USDA): Inviting applications for ‘The Borlaug Fellowship Program’ to provide opportunities for short-term research projects to improve agricultural productivity, economic development, and food security. National University of Singapore (NUS): Inviting applications for ‘Asian Graduate Student Fellowships 2019’ from citizens of Asian countries currently enrolled in a fulltime Master’s or PhD degree at a university in an Asian country. European Holocaust Research Infrastructure (EHRI): Inviting applications for ‘Conny Kristel Fellowship Call 2018’ to provide grant to Holocaust researchers, archivists and digital humanists comprehensive transnational access to key collections and centres of expertise across Europe and beyond. Aqua for All, Netherlands Water Partnership, Water Supply & Sanitation Collaborative Council (WSSCC) and World Waternet: Inviting applications for ‘Sarphati Sanitation Awards 2019’ to honor the outstanding contribution of individuals or organizations to the global sanitation and public health challenge through entrepreneurship. Famae: Inviting applications for ‘Water Challenge’ to seek pragmatic, efficient, durable, universal and money-saving solutions to make life easier for urban citizens. Phipps Conservatory and Botanical Gardens: Inviting applications for ‘The Botany in Action (BIA) Fellowship program’ to foster the development of the next generation of plant-based scientists who are committed, first, to excellent research, and second, to educational outreach. Sanofi Espoir Foundation: Inviting applications for ‘My Child Matters grant award 2019-2021’ to give all children with cancer, wherever they live in the world, the same opportunity to get well. United For 2030: Inviting applications for ‘Citizens Assembly’ to provide any young person with a simple way to support the Global Goals. University of Delaware: Inviting applications for ‘The Diamond Challenge’ to empower the next generation to adapt and thrive in a rapidly changing world. Commonwealth Scholarship Commission in the UK (CSC): Inviting applications for ‘Commonwealth Master’s Scholarships’ from low and middle income Commonwealth countries, for full-time Master’s study at a UK university. Albert and Mary Lasker Foundation, the Alan Alda Center for Communicating Science at Stony Brook University, and iBiology: Inviting applications for ‘The 2019 Competition for the iBiology Young Scientist Seminars (YSS)’ to feature early-career scientists giving talks about their research and discoveries. Commonwealth Scholarship Commission in the UK (CSC): Inviting applications for ‘Commonwealth PhD Scholarships (for low and middle income countries)’ for full-time doctoral study at a UK university. Audimax MEDIEN GmbH: Inviting applications for ‘Women’s STEM Award 2019’ from STEM (Science, Technology, Engineering or Mathematics) graduates women from all over the world can submit their thesis with focus on one of the strategic growth areas: Cloud, Internet of Things, Artificial Intelligence, Cyber Security and Networks of the Future. P4G Partnership Fund: Inviting applications for ‘grant’ to offer financial support and targeted assistance to select public-private partnerships that are advancing innovative strategies to achieve the following five Sustainable Development Goals. Turtle Conservation Fund (TCF): Inviting applications for ‘turtle conservation and research grants program’ to organizations or individuals for specific conservation or research projects dealing with highly endangered tortoises or freshwater turtles, but not marine turtles, with either partial or full support as funding allows. Audubon Naturalist Society (ANS): Inviting applications for ‘Crowder-Messersmith Fund’ to help fund small, local conservation and education projects in developing countries by providing seed money to communities and individuals whose projects have not attracted major support from other sources. Russell Sage Foundation (RSF): Inviting applications for ‘grant’ to fund analyses that address the extent to which the ACA has affected outcomes such as financial security and family economic wellbeing, labor supply and demand, family and children’s outcomes, and participation in other social safety net programs. Bridport Arts Centre: Inviting applications for ‘The Bridport Prize’ to encourage emerging writers and promote literary excellence through its competition structure. Zhengzhou University (ZU): Inviting applications for ‘President Scholarship’ to enhance international exchange & cooperation and encourage more excellent international students to study. Chinese Academy of Sciences (CAS) and The World Academy of Sciences (TWAS): Inviting applications for ‘CAS-TWAS President’s PhD Fellowship Programme’ for the advancement of science in developing countries. University of Virginia: Inviting applications for ‘The Dalai Lama Fellowship’ to offer emerging leaders a rigorous, interdisciplinary program on ways to be a different kind of leader, a leader that connects and cares for self, extends genuine compassion to others, and works for our common humanity. FilmTaiwan, Taiwan Ministry of Culture: Inviting applications for ‘Student Journalist Prize’. Paul M. Angell Family Foundation: Inviting applications for ‘grants’ for three priority areas: Conservation, Performing Arts and Social Causes. New York University: Inviting applications for ‘World Journalist Fellowship’ to provide support to international journalists who enroll in one of our graduate programs in journalism. Breakthrough Institute: Inviting applications for ‘Generation Fellowship’ to find five to ten outstanding young analysts, writers, and thought leaders. Wellcome Trust: Inviting applications for ‘Investigator Awards in Science’ to enable independent researchers with a compelling research vision to tackle the most important questions in science. Royal Academy for Overseas Sciences (RAOS): Inviting applications for ‘Yearly Competitions’ to stimulate high-quality scientific research regarding problems inherent to overseas regions. ETH Zurich: Inviting applications for ‘Student Summer Research Fellowship’ to allow undergraduate and graduate students to obtain research experience in their department during the summer months. McCain Institute: Inviting applications for ‘the Next Generation Leaders (NGL) program’ to identify, train, network and empower a diverse group of emerging, character-driven leaders from the United States and around the world. Yale University: Inviting applications for ‘The Fox International Fellowship’ to enhance mutual understanding between the peoples of the United States and other countries by promoting international scholarly exchanges and collaborations among the next generation of leaders. International Institute for Applied Systems Analysis (IIASA): Inviting applications for ‘The summer 2019 Science Communication Fellowship’ to gain experience in communicating complex systems science for a general audience through a variety of platforms. Colorado State University: Inviting applications for ‘Colorado Prize for Poetry’ to connect writers and readers by publishing exceptional writing. PADI Foundation: Inviting applications for ‘grant’ to encourage and support research and education related to aquatic environments. Thomson Reuters Foundation: Inviting applications for ‘Reporting Human Trafficking and Modern Day Slavery’ to gain practical skills and knowledge and work on your story ideas with guidance from experienced Thomson Reuters journalists’. The Arnold Arboretum of Harvard University: Inviting applications for ‘The Ashton Award for Student Research’ to support investigations by graduate and advanced undergraduate students working on Asian tropical forest biology. UN Women: Inviting applications for ‘The UN Trust Fund’ to End Violence against Women. Harvard Kennedy School: Inviting applications for ‘Tech and Human Rights Fellowship Program – The Technology, Artificial Intelligence, and Future of Life Initiative’ to examine how technological advances over the next several decades will affect the future of human life, as well as the protections provided by the human rights framework. Rainforest Trust: Inviting applications for ‘grant’ to create new protected areas for Critically Endangered and Endangered species. Schwelle Foundation: Inviting applications for ‘the International Bremen Peace Award’ to honor people and organizations that set an example through their work contributing to reconciliation, human rights, overcoming of racism, social justice, sustainable handling of nature and environment as well as to intercultural and interreligious understanding. La Casa Encendida: Inviting applications for ‘Puchi Award 2019’ to books in any genre or form: fiction, non-fiction, poetry, novels, comics, illustrated albums, essays, cookbooks, geography books, combinations of the above or any other type imaginable. Foundation Fiat Panis: Inviting applications for ‘Hans H. Ruthenberg -Graduate Award’ to award outstanding diploma or master theses in the field of food security. The Polden-Puckham Charitable Foundation: Inviting applications for ‘grant’ to fund organizations in UK that are working to influence policy, attitudes and values at a national or international level. Asia Philanthropy Awards Committee: Inviting applications for ‘award’ to provide a platform for identifying and recognizing individual or NPO who contribute their time and ability to enhance philanthropy across Asia or for Asia. Government of Netherlands: Inviting applications for ‘the Dutch Fund for Climate and Development (DFCD)’ to finance climate projects in developing countries. Singapore International Foundation (SIF): Inviting applications for ‘Young Social Entrepreneurs (YSE) Programme’ to inspire, equip and enable youth of different nationalities to embark on social enterprises (SEs) in Singapore and beyond. The Bristol Short Story Prize: Inviting applications for ‘prize’ to all published and unpublished, UK and non-UK based writers. Japan Student Services Organization (JASSO): Inviting applications for ‘Follow-up Research Fellowship’ for former International Students in Japan to researchers who have previously come to study in Japan from a developing country, region, etc., and are currently active in education, research, or government in their home country, region, etc. Robert F. Kennedy Human Rights: Inviting applications for ‘The Robert F. Kennedy Human Rights Award’ to honour an individual or group of individuals who stand up to oppression at grave personal risk in the non-violent pursuit of human rights. World Summit on the Information Society Prizes (WSIS): Inviting applications for ‘WSIS Prizes’ to create an effective mechanism to evaluate and recognize individuals, governments, civil society, local, regional and international agencies, research institutions and private-sector companies for outstanding success in implementing development oriented strategies that leverage the power of ICTs as an enabler of the development. Google.org: Inviting applications for ‘Google AI Impact Challenge’ to organizations around the world to submit their ideas for how they could use AI to help address societal challenges. Wilson Ornithological Society: Inviting applications for ‘Louis Agassiz Fuertes Grant’, ‘George A. Hall / Harold F. Mayfield Grant’, ‘Wilson Ornithological Society Research Grant’. The Sydney Peace Foundation: Inviting applications for ‘The Sydney Peace Prize’ to recognize the work of the world’s most effective peacemakers, and honour the remarkable people at the heart of these stories. Efficiency for Access Coalition: Inviting applications for ‘Research and development fund’ to support and accelerate innovation in off-grid and weak grid appliance technologies and markets. The United Nation World Tourism Organization (UNWTO) and Basque Culinary Center: Inviting applications for ‘the First Global Gastronomy Tourism Startup Competition’ to identify startups with the greatest potential to outline the future and promote sustainable innovation in the tourism and gastronomy sector. Marine Mammal Commission: Inviting applications for the funding theme-‘Topic Area A: Research and Conservation’ and ‘Topic Area B: Outreach and Connectivity’. International Olympic Committee (IOC): Inviting applications for ‘The Sport and Active Society Development Grants’ to organizations that promote the health and social benefits of sport and participation in regular physical activity. Kinship Foundation: Inviting applications for ‘The 2019 Fellowship’ to explore new ways to apply market-based approaches to environmental issues. TRACE International, Inc: Inviting applications for ‘TRACE Prize for Investigative Reporting – Uncovering Commercial Bribery’ to recognize journalism that uncovers business bribery or related financial crime with the goal of increasing commercial transparency. Cisco: Inviting applications for ‘Cisco Global Problem Solver Challenge 2019’ to recognize new business ideas that leverage technology for social impact from student entrepreneurs around the world. Smithsonian.com: Inviting applications for ‘Annual Photo Contest’. Okinawa Institute of Science and Technology Graduate University: Inviting applications for ‘The Innovation Square Startup Accelerator’ to strengthen the innovation ecosystem around the university and contribute to self-sustaining economic development in the region. Wellcome Trust (WT): Inviting applications for ‘Seed Awards in Science’ to help researchers develop novel ideas that will go on to form part of larger grant applications to Wellcome or elsewhere. European Commission: Inviting applications for ‘European Instrument for Democracy and Human Rights (EIDHR): 2018 Global Call for Proposals’ to support civil society in protection and promotion of human rights and fundamental freedoms worldwide. Agropolis Fondation and Olam International: Inviting applications for ‘Louis Malassis International Scientific Prize and OLAM Prize – 2019’ to recognize the exemplary contribution of scientists in the field as well as to inspire young promising researchers to work towards excellent science in the service of society and ‘Olam Prize for Innovation in Food Security’to recognize an innovative scientific research project for its potential impact on the availability, affordability, accessibility or adequacy of food. BRAC: Inviting applications for ‘Social Innovation Fellowship 2019’ to the troublemakers who never settle. UN Women: Inviting applications for ‘grant’ to identify women led and managed CSOs working for women’s empowerment at national, and local levels; assess their interest, experience and potential capacity to engage in gender inclusive disaster risk reduction, climate change and humanitarian actions, including advocacy and negotiations for the same purpose. Nasa: Inviting applications for ‘Essay Contest’ for the ‘Topic 1: Enceladus’, ‘Topic 2: Titan’, ‘Topic 3: Europa’. Fondation SUEZ: Inviting applications for ‘grant’ to combat exclusion by favouring inclusion and consequently sustainably improving the living conditions and autonomy of persons via access to essential services, social insertion and social harmony. The Global Innovation Lab for Climate Finance: Inviting applications for ideas for financial instruments that can unlock investment to tackle some of the most difficult climate and sustainable development challenges. Fentress Global Challenge: Inviting applications for ‘International Student Design Competition’ to help advance the pursuit of innovative design in public architecture. A.J. Muste Memorial Institute: Inviting applications for ‘Social Justice Fund’ to support several active grantmaking programs promoting nonviolent action for social justice in the United States and around the world. World Food Programme (WFP): Inviting applications for ‘The WFP Innovation Accelerator’ to identify, nurture and scale bold solutions to hunger globally. Bloomberg Philanthropies: Inviting applications for ‘Bloomberg Initiative to Reduce Tobacco Use Grants Program’ to support projects to develop and deliver high-impact evidence-based tobacco control interventions. The Overseas Development Institute (ODI): Inviting applications for ‘The Fellowship Scheme’ for candidates who have a demonstrable interest in development; relevant work or voluntary experience in a developing country, and strong computer skills. International Trans Fund (ITF): Inviting applications for ‘ITF’s Third Grantmaking Cycle’ to mobilize sustainable resources to help build strong, trans-led movements and support collective action, and to address and eliminate funding gaps impacting trans groups across the globe. Open Society Foundation: Inviting applications for ‘Open Society Fellowship’ to support individuals seeking innovative and unconventional approaches to fundamental open society challenges. Qatar Foundation: Inviting applications for ‘2019 WISE Awards’ to identify, celebrate, and promote six innovative projects for their positive contribution to education and society. Ernest Kleinwort Charitable Trust (EKCT): Inviting applications for ‘grant’ for start-up costs, core costs or for a specific project for which applicants have requested support. The Ministry of Foreign Affairs of Denmark (MFA): Inviting applications for ‘grant’ to support to research cooperation to contribute to new solutions with new knowledge and new approaches, and to increase the countries’ capacity for creating and applying new knowledge themselves. The GlobalGiving Accelerator: Inviting applications for ‘grant’ to build skills, access tools, and grow your base of supporters to achieve crowdfunding success. Earth Journalism Network (EJN): Inviting applications for ‘Asia-Pacific and Bay of Bengal Media Grants’ to media groups, journalist networks and other environmental information-generating organizations that are working to improve the quantity and quality of environmental news coverage. Scientific Exploration Society (SES): Inviting applications for ‘award’ to encourage and enhance chosen careers by providing high profile Awards for projects that will also leave a lasting legacy and benefit. UNHCR: Inviting applications for ‘Nansen Refugee Award’ to find heroes supporting refugees, internally displaced and stateless people to invest in their humanitarian work. World Bank Group: Inviting applications for ‘SDGs & Her online competition’ for Women micro-entrepreneurs to showcase how they are supporting the SDGs Through their business operations. Commonwealth Foundation: Inviting applications for ‘grant’ in support of innovative project ideas and approaches that seek to strengthen the ability of civic voices to engage with governments and that have the potential to improve governance and development outcomes through their active participation. The Social Science Research Council (SSRC): Inviting applications for ‘Conflict Research Fellowship’ to provide year-long support for experienced scholars. Fund for Bangladesh on Facebook! VISIT US FOR THE UPDATED INFORMATION OF ((( 1350+ ))) NEW FUNDING OPPORTUNITIES IN 2017, 2018, 2019 and BEYOND BY WORLD RENOWNED DONORS. THIS SITE HAS BEEN VIEWED BY ((( 100,500+ ))) VISITORS FROM MORE THAN ((( 186+ ))) COUNTRIES WITHIN JUST 25+ MONTHS SINCE ITS LAUNCH on 21st, FEBRUARY, 2017, INTERNATIONAL MOTHER LANGUAGE DAY!!! 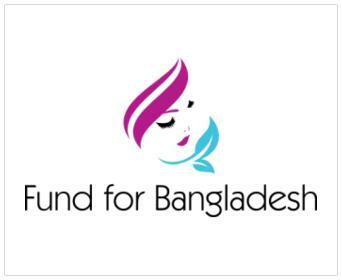 Our Facebook Page (“FundForBangladesh“) is also started growing with 615+ ‘Like’ and 620+ ‘Followers’ ! Moreover, We have received 780+ like from WordPress website owners and 225+ WordPress followers! THANKS VISITORS FOR YOUR RESPONSE ALL ALONG! WE ARE BLESSED WITH YOUR RESPONSE! KEEP VISITING!! STAY CONNECTED AND UPDATED WITH OUR Facebook Page (“FundForBangladesh“) ! *Please note that we are facing technical difficulties. Once we are able to overcome the difficulties, we will come back with regular update. Thanks for your patience. *Please note that we are not a donor agency, we are searching potential donor calls for Bangladesh, summarizing the donor calls and updating those to our site keeping intact the original texts. *Please visit our Service Page to know the details how we can assist you. We don’t guarantee ‘fund’ for anyone or any organization. Our services are now only for the progressive organizations / individuals working in Bangladesh. *You can find All Posts in brief from Site Map. *You can find All Funding Categories from Access Funding Short-cut. *You can reach us through Contact Page or Contact Form. TOP COUNTRY VISITORS (From 21st February, 2017)! Find Fund of Your Choice! U.S. National Academies of Sciences, Engineering, and Medicine: Inviting applications for ‘Partnerships for Enhanced Engagement in Research (PEER) program’ for scientists in developing countries to apply for funds to support research and capacity-building activities on topics of importance to USAID and conducted in partnership with U.S. Government (USG)-funded and selected private sector partners. The Common Fund for Commodities (CFC): Inviting applications for ‘12th Open Call for Proposals’ to support Commodity development activities. The Maypole Fund: Inviting applications for ‘grant’ to women only for projects and activities. World News from Reuters (International)! Denmark's richest man Anders Holch Povlsen and his wife lost three of their four children in the Easter Sunday attacks in Sri Lanka, a spokesman for Povlsen's fashion firm said on Monday. Seven suicide bombers took part in the attacks on churches and luxury hotels in Sri Lanka that killed 290 people and wounded more than 500, an investigator said on Monday, while a government spokesman said an international network was involved. Sri Lankan President Maithripala Sirisena will ask for foreign assistance to track international links to a series of suicide bomb at churches and luxury hotels on Easter Sunday that killed 290 people and wounded more than 500, his office said. Sri Lankan President Maithripala Sirisena will declare a nationwide emergency from midnight on Monday following Easter Sunday suicide bomb blasts at churches and luxury hotels that killed 290 people and wounded more than 500, his office said. The Easter Sunday bomb attacks in Sri Lanka were carried out with the help of an international network, cabinet spokesman Rajitha Senaratne said on Monday. Sudan's ruling Transitional Military Council (TMC) warned on Monday against protesters blocking roads and limiting the movement of citizens as protests continued after president Omar al-Bashir was forced from power. Iraq is committed to the global supply cuts taken by OPEC and its allies and any decision to raise or decrease production must be taken collectively by OPEC, an Iraq oil ministry spokesman told Reuters on Monday. Ukraine entered uncharted political waters on Monday after near final results showed a comedian with no political experience and few detailed policies had dramatically up-ended the status quo and won the country's presidential election by a landslide. News from Daily Star (Bangladesh)! The two landfills in the capital have almost reached their limit with no immediate remedy in sight. Mountains of garbage are being formed in the landfills at Matuail and Aminbazar and there are fears that the waste will spill over into adjacent areas. Dhaka South City Corporation (DSCC) Mayor Sayeed Khokon said Dhaka could soon use the “Reduce, Reuse and Recycle (RRR)” method for managing the city’s waste. A suspected drug peddler was killed in a “gunfight” with police in Sirajganj, and another one in what police claimed was an encounter between two groups of drug peddlers in Cox’s Bazar, while, In Chapainawabganj, a body was recovered by police early yesterday. The Directorate of Secondary and Higher Education (DSHE) yesterday directed all school and college authorities to set up an anti-sexual harassment committee in line with a 2009 High Court order. Dhaka Wasa managing director yesterday boasted that Wasa water “is 100 percent pure” while also admitting that sometimes he himself boils the water at his home. Police yesterday arrested another accused in the Nusrat murder case. The holy Shab-e-Barat, the night of fortune and forgiveness, will be observed in the country tonight with due religious fervour. A number of mango growers are spraying toxic pesticides on their orchards in Rajshahi region, despite a High Court order to deploy police in the areas to prevent the harmful practice. A silent change is taking place in the country’s secondary level education. Umme Sultana Poppy, a key accused in the murder case of Feni madrasa student Nusrat Jahan Rafi, confessed to have called Nusrat to the rooftop moments before she was set ablaze, said police. News form from daily sun (Bangladesh)! News from Espn (Cricket, International)! Injury concerns, big calls, wildcard selections. World Cup squads need to be named by April 23 so here's a rundown of how the teams stand. "Had we reached even three or four minutes earlier, we probably would have been inside the mosque"
Live Cricket Score from Espn (Static) (Cricket, International)! They were trying to imitate the rangers who raised them, a park official said. CHP's leader Kemal Kilicdaroglu was set upon by protesters at a soldier's funeral in Ankara. All seats in Gujarat (26), Kerala (20), Goa (2), Dadra and Nagar Haveli (1) and Daman and Diu (1) go to polls in the third of the seven-phase election. News from China Daily (China)! A high-level international advisory body applauded China's efforts to improve the environment and suggested a 15-year strategy against pollution in a draft recommendation report on Monday. China and Russia kicked off their second joint computer-assisted anti-missile drill on Monday, a move experts said could deter potential missile threats amid rising tensions on the Korean Peninsula. A memorial service to mark the 80th anniversary of the Nanjing Massacre committed during the War of Resistance Against Japanese Aggression (1931-45) brought together hundreds of activists and members of the Chinese and other Asian communities on Sunday in San Francisco. China will strengthen innovation by developing high-tech industries with military technologies to boost military-civil integration, a move that aims to cultivate new growth drivers and boost the economy, said a recent State Council guideline. Hundreds of people have been killed or injured after a series of blasts hit luxury hotels and churches across Sri Lanka on Easter Sunday. He played a president on television. Now he's getting a shot at his biggest role yet. For years now, people like environmentalist and journalist Bill McKibben have been screaming from the treetops that we need a World War II-scale mobilization to fight the scourge of climate change. Death toll soars to 290 as South Asian nation reels from attacks that targeted churches and hotels across the country. A close look at comedian-turned-president Volodymyr Zelensky who defeated incumbent President Petro Poroshenko. Prosecutors looking into allegations that Ghosn funnelled $15m in Nissan funds to a dealership in the Middle East. After much bloodshed, rallies continue as prominent Shia leader Ibrahim El Zakzaky languishes in prison. At least 17 killed and more than 25 people still buried in the mud, local media reports say. Anti-establishment political novice beats President Petro Poroshenko with 73 percent of votes, preliminary results show. Coordinated bombings rock churches and hotels in Sri Lanka on Easter Sunday, killing at least 290 people. Official figures reveal almost 10 percent increase in violence in first quarter of this year compared with 2018. DAILY MOTIVATIONAL QUOTE BY MOTIVATIONAL-QUOTES-SAYINGS! Fund is what asked by everyone. But we often forget that there are huge contribution by the donor, fund raiser and organization to turn an ‘idea’ into ‘concept’ and ‘concept’ into successful ‘fund’. This is not a ‘one man’ game, so as to say. Under extensive scrutiny in different stages of funding process, the love of developed countries reaches to the end beneficiaries of different countries through funding. In this site, we will try to provide resources, funding information and many more which will help the fund raiser gradually. We would be happy if our effort helps all concerned and ultimately the poorest of poor people of Bangladesh and other countries of the world as well. Please share your thoughts/suggestions/information about funding or relevant issues related to this site. We will try to focus the valid concerns at soonest possible time. Please be aware about receiving/applying funds as we will not take any responsibility for any consequences of any stage of funding. This is merely a informative site for the fund-raiser. Please note that we are trying different themes for this website from where we will choose one. We have tried new theme for the month of ‘June’, 2017 onward. We also want to acknowledge that we do not change the ‘original text’ of the donor. So the credit of the text of different calls definitely reaches to the ‘Donor’ of each call. We do minimum changes in the text what we feel required for presentation purpose only in our format. Please note that all advertisement of this site are given by the domain provider. We don’t have any relation with the advertiser. They are appearing automatically as a cost of the ‘free’ domain! We would be happy if our effort contributes to the extensive effort of fund-raiser. 1. Please note that all advertisement of this site are given by the domain provider. We don’t have any relation with the advertiser. They are appearing automatically as a cost of the ‘free’ domain! 2. Please be aware about receiving/applying funds as we will not take any responsibility for any consequences of any stage of funding. This is merely a informative site for the fund-raiser. 3. 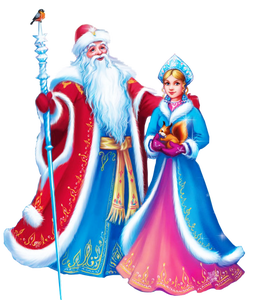 Please do not confuse with any texts, graphics or serials used in this site as these do not have any other meaning, from any sense. 4. All the credit goes to the donors for texts of each donor calls. IRICEUP AGAINST HUNGER! PLAY AND DONATE!